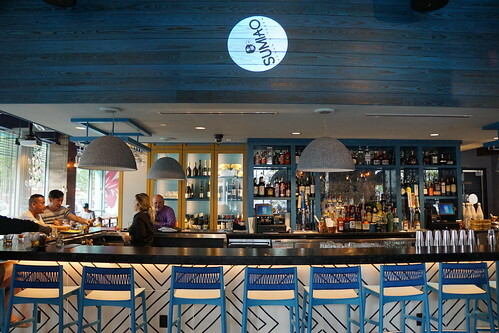 Boston honestly doesn't have too much regional Chinese cuisine, but this is changing with the arrival of Sumiao in Kendall Square. Sumiao brings Hunanese cuisine, which is hard to find in most places, and combines it with a chich decor and solid cocktails. La rou is like Hunanese bacon - it is pork belly that's been smoked then hang-dried. This is one of the quintessential Hunanese food. 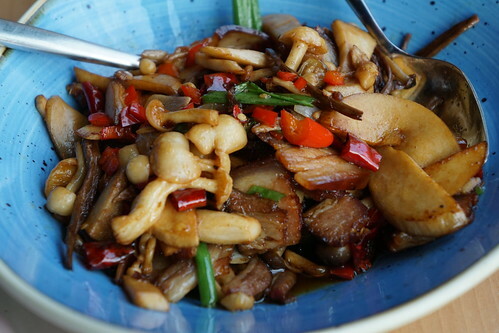 In Hunan, they like to smoke their meats, which is then stir fried with some chili and vegetables (because Hunanese also love their chilies!). They also have la rou with a different preparation on their lunch menu for $13, and I encourage you to try it. As I mentioned, Hunanese love their chilies. Chairman Mao hailed from Hunan and reportedly once said "you can't be a revolutionary if you don't eat chilies!" 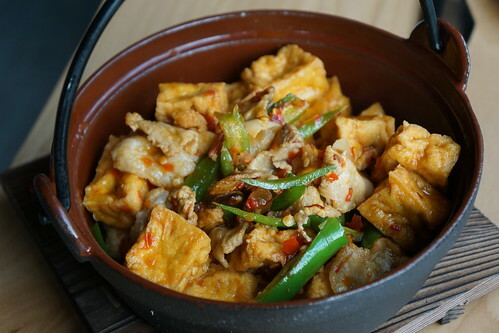 The Hunan tofu pot was one of the spicier dishes. The spice isn't too bad but it does build up (but if you want more, you can ask for "authentic spicy"). This was one of our favorites that day, with the nicely fried tofu and the flavorful pork belly. I may have complained a bit about the lack of lunch options at MIT, but actually, if I just go out of campus for a bit, there are some great places - take Area Four, for example, known for their pizza. 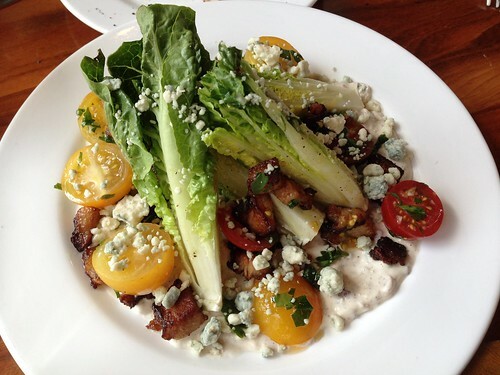 The crispy pork belly made this salad that much better - it's still healthy right? Backbar is one of my favorite bars in Boston, so when the same team opened Ames Street Deli near MIT, well, I was quite excited (and scared for my wallet). Ames Street Deli is open from morning until evening with different offerings throughout the day (making the place even more dangerous for the wallet!). In the morning, come for a kouign amann. Ames Street makes a great one, the layers are so flaky and crispy with the baked sugar. They also have breakfast sandwiches and scrambled egg donut and bacon and egg donut! I'm not quite sure yet what those are like because I haven't woken up early enough to go to campus for those, but I'm certainly intrigued. 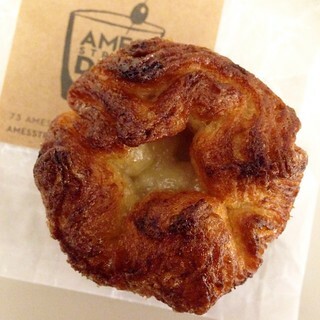 The kouign amann is also typically gone by late afternoon, so you should come earlier for that, too. 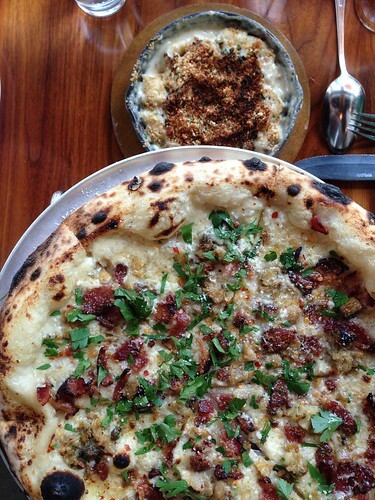 I'm pretty lucky to live within walking distance to Hungry Mother and its sister restaurant, State Park. State Park has more of a sports bar vibe with more casual food and beers, but you can still look for great Southern food here from the James Beard Award winning chef Barry Maiden. 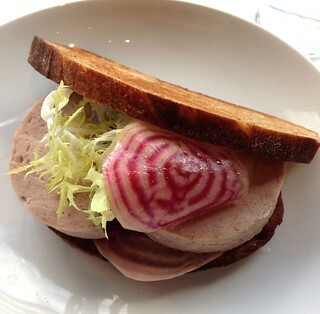 Instead of the refined dishes at Hungry Mother, think sandwiches, fried chicken, and the likes. For those who are not familiar, this refers to Snappy Lunch in Mt Airy, North Carolina. The diner is famous for their pork chop sandwich where the boneless pork chop is covered in a sweet milk batter - yes, very much reminiscent of french toast. Think french toast stuffed with pork chop, then made into a sandwich with chili and cole slaw... The pork chop itself is ridiculously tender! 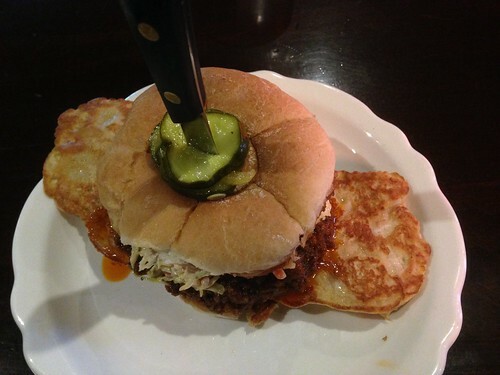 A wondrously messy sandwich worth digging into. 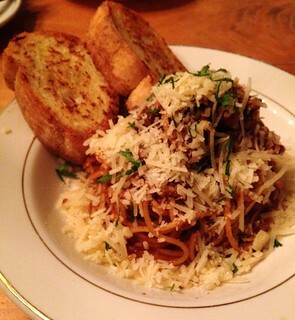 Who knew spaghetti would work so well with BBQ sauce? It's just a bit saltier than bolognese, with a subtle kick. Bold and sweet, served with fluffy, buttery garlic bread. This has become another favorite of mine. Cambridge Brewing Company was one of the first places I explored in the Kendall/Tech Square area. It was on the way to/from work and when this Angeleno first moved to Boston and started walking to work, a mile seemed soooo far. So why not stop in the middle for a brew, right? They have 5-6 flagship beers, but I like browing their specialty and seasonal list, of course. 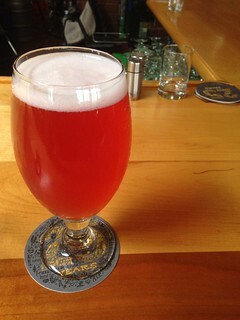 The first beer I had here was the Olmstead's Folly: an herbed ale with Japanese knotsweed and cranberry. 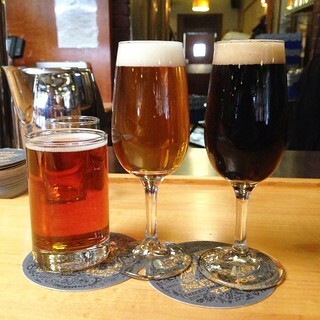 You can get a taster pours of any of the beers, too, which was what I did the last time. Sgt Pepper is their award winning Farmhouse ale with peppercorn. I also tried a Gruit (German for "herb", this refers to an old style of beer made without hops) called Grandchester Meadows. This beer was a collaboration with Mystic Brewery and Earth Eagle Brewings. The last one was Machinery of Night, a blended and barrel-aged sour - also my favorite of this round. One thing I like better at MIT compared to Caltech is that there are more good bars I can walk to. Granted, I walk farther here than I did in Pasadena ... But anyway, here are my top three cocktail bars near MIT / Kendall Square! West Bridge isn't only one of the best restaurants in town, but also has a solid cocktail program. 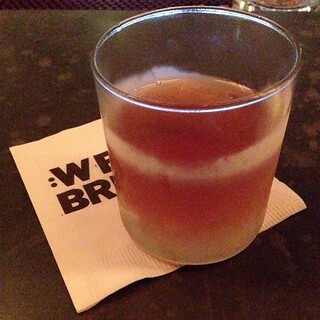 While the menu is relatively small and only a few items rotate every season, you can always find something interesting with fresh and unusual ingredients, like the Amarillo by Morning made with hay-infused bourbon, hickory, benedictine, and sarsaparilla. In most of the cocktails you'll find a touch of fresh produce, like cucumber or beet infusions. Cocktails are $11 each.